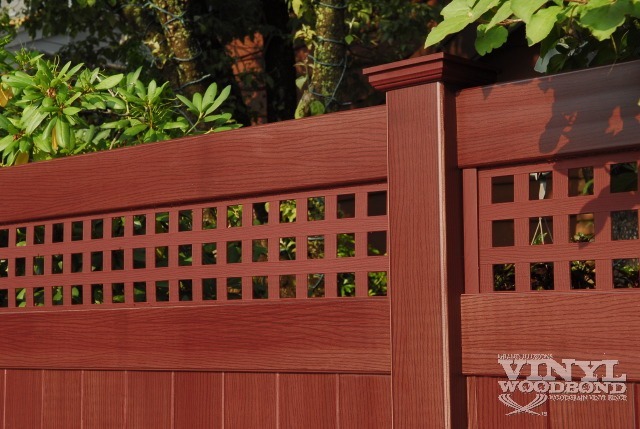 Does PVC Fence Come in Woodgrain? 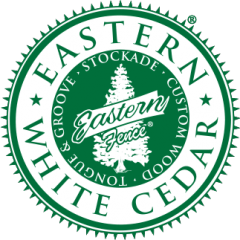 Ever wonder the answer to that question? 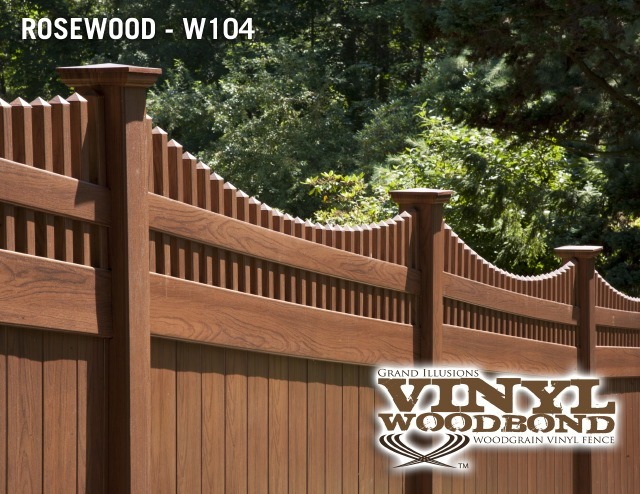 The answer is a resounding “YES!” Here is a perfect example of the new Grand Illusions Vinyl WoodBond woodgrain vinyl fence. 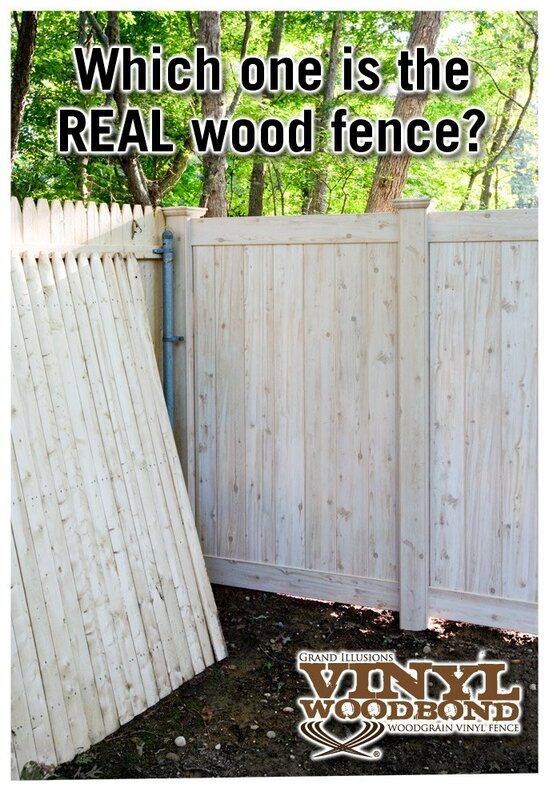 This week’s photos feature a terrific install of 87 Sections of V300-6 Vinyl Privacy Fence in Toms River, NJ. 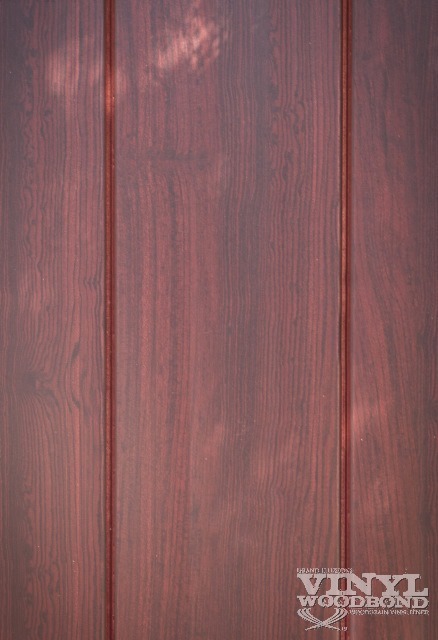 It is shown in the popular Grand Illusions Vinyl WoodBond Walnut (W103) grain. One of the best things about this install is the way it blends into the setting. The park like grounds are surrounded by beautiful forest. The subtle and authentic looking. 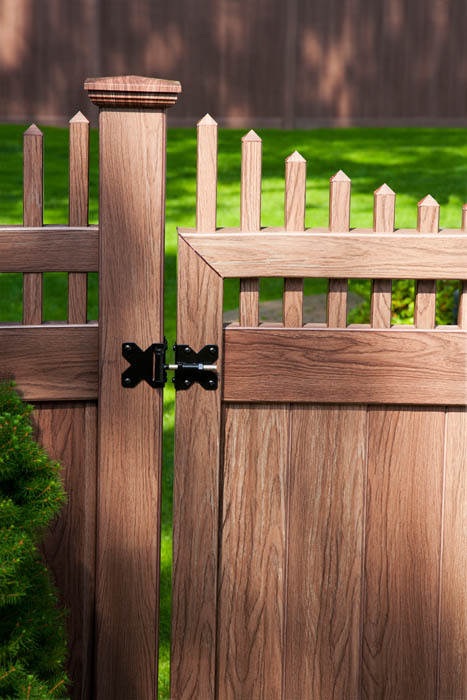 Walnut grain helps to bring out the green of the trees and landscaping. 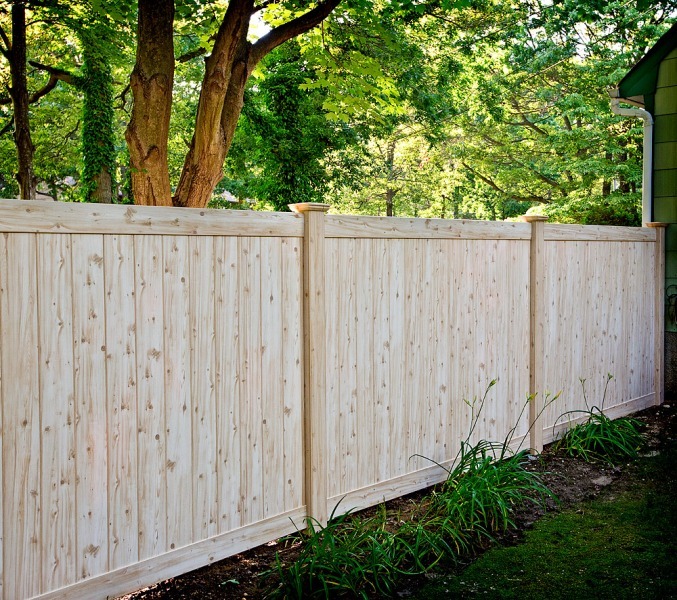 In essence, this fence becomes just another beautiful part of the landscaping. This is such a tasteful use of the Walnut grain to compliment the surrounding settings. The overall result is an idyllic outdoor living space that anyone would be happy to spend more time in. 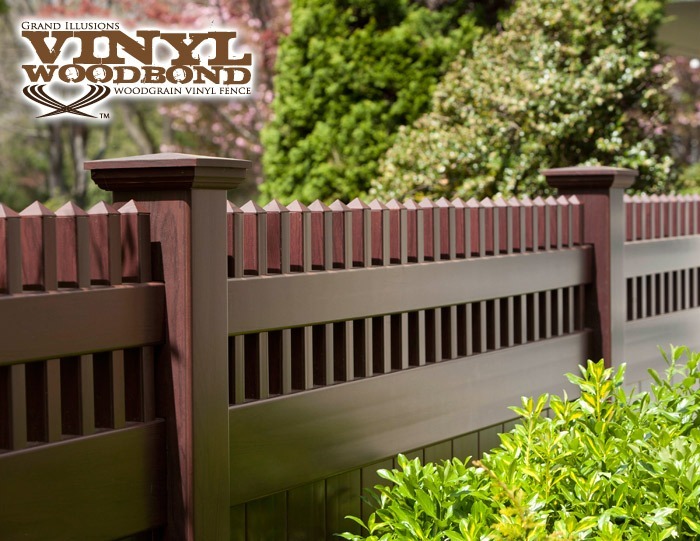 Grand Illusions has five different woodgrains available in all fence styles.